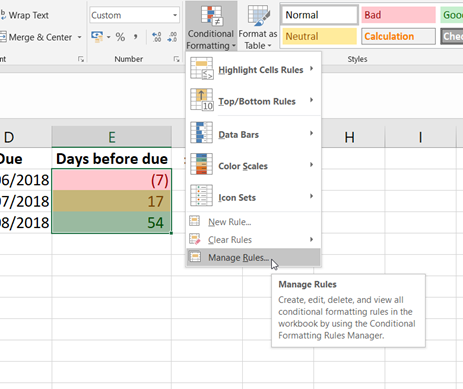 That is, in a “nutshell” what Conditional Formatting is all about – the formatting changes based on a set of rules that you specify. 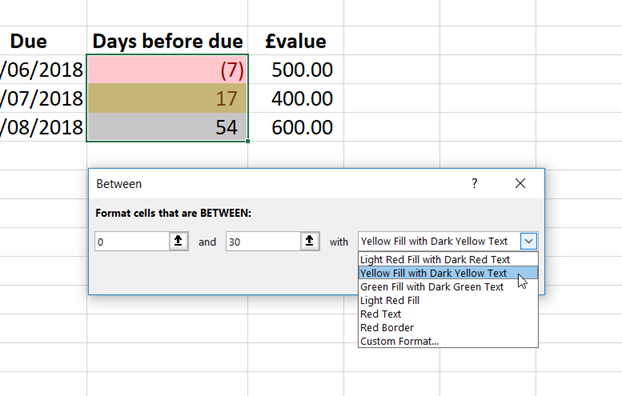 This could be whether a cell value is higher or lower than a target, or a date before or after another or matching against other cells in a table to create a “heat map”. As has been mentioned, using Conditional Formatting, it’s fairly easy to create some sort of traffic light system… this can be useful if you’re looking at dates before an action needs to be taken – more than three months to go, it’s Green, between three & two months, it goes Amber & with less than a month to go, it turns red. If we’re setting up this sort of system, then we’ll also find the TODAY function helpful (=TODAY() is all you need in a cell) as that will automatically show “today’s date” whenever you open the spreadsheet. 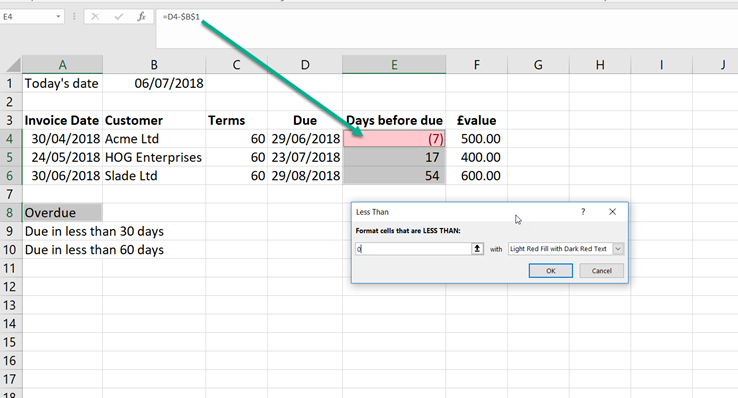 This entry was written by colinfoster, posted on July 6, 2018 at 9:57 pm, filed under Microsoft Excel, Tips and Tricks and tagged Conditional Formatting, Functions, Heat Map in Excel, Spreadsheet, Traffic lights in Excel. Bookmark the permalink. Follow any comments here with the RSS feed for this post. Comments are closed, but you can leave a trackback: Trackback URL.